Vicki’s School of Dance is spreading holiday cheer with a big donation to Operation Santa Claus by donating 500 toys to Operation Santa Claus. The toys, which were all collected by members of the dancing school, were given to the BSO late last week. These toys will be used to help provide smiles for children in need this Christmas. Operation Santa Claus is a joint effort between the Bossier Sheriff’s Office, Shreveport Police and Fire Departments, and Townsquare Media. 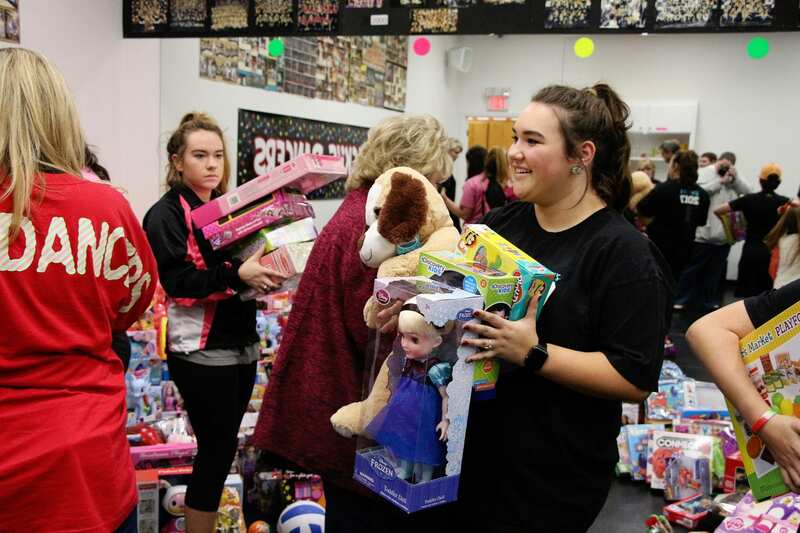 The annual toy drive is a success because of the giving spirit of the community who help provide toys and monetary donations to ensure no child goes without a present this Christmas. Vicki’s School of Dance also collected canned goods to donate to the BSO’s Operation Blessing. Senior dancer Allie Dowdall carries toys out of the dance studio to be loaded onto a Sheriff’s Office van. Senior dancer Mary Watts and Sgt. 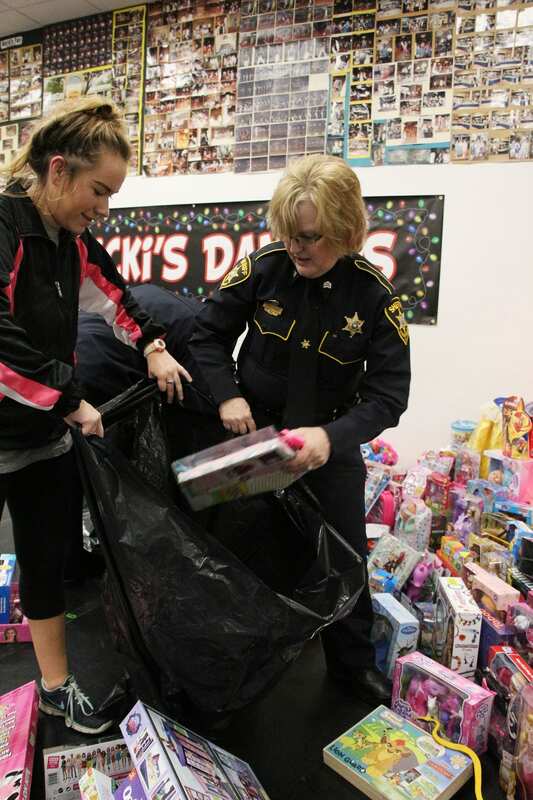 Tina Fruge of the Bossier Sheriff’s Office pack up donated toys at Vicki’s School of Dance. 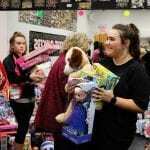 The toys will be used to help provide smiles for children in need this Christmas. 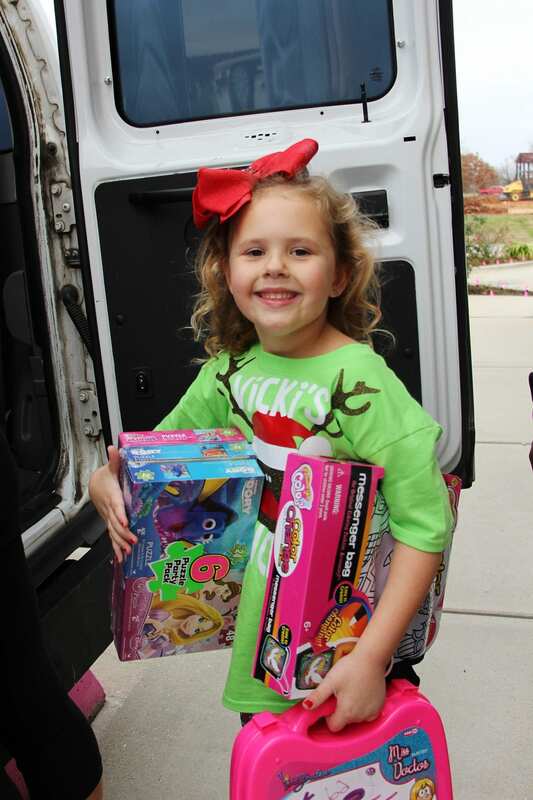 Five-year-old Hadleigh Fulghum helps load toys into a sheriff’s office van, where they will be taken and delivered to children in need this Christmas.